L-R: Michael Bernardo, – Solutions Architect, Tata Communications, Kapil Barman – Global Partner Program Director, Tata Communications, George Buenafe – Head of Product Management, Converge ICT, Alan Smyth – Head of Enterprise Sales and Wholesale Group, Patty Briones – Regional Partner Manager, Tata Communications, Mahesh Karthikeyan – UCC Solutions Director, Tata Communications, Manish Tiwari – UCC Business Development Director, Tata Communications. 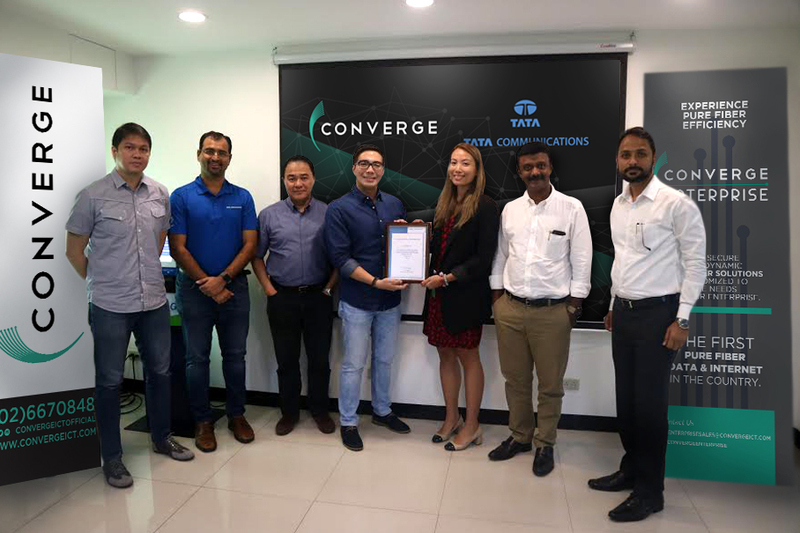 “With this partnership with Tata, Converge ICT can now extend its service reach to other countries for its Enterprise customers in the Philippines,” said Alan Smyth, Head of Wholesale and Enterprise Sales at Converge ICT. 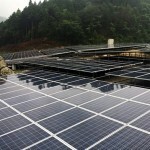 Smyth explains that the strengthened resources opened by this alliance is one major consideration for the partnership. “Instead of creating these services and re-inventing the wheel ourselves, Converge ICT decided to work with Tata to fast-track adding value-added service portfolios and leveraging on the mature product lines of Tata for the enterprise market.” Smyth explains. Converge Enterprise’s clients are set to experience optimized services through Tata´s wide range of premium level products and services which would “help clients become more efficient, achieve increased productivity, generate customer loyalty, as well as mitigate potential business risks,” Smyth shares. 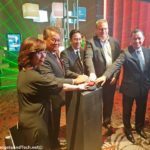 The partnership, according to Patricia Briones, Regional Partner Manager of Tata Communications, allows the two companies to offer new innovations which the consumers and enterprise clients will benefit from. “We also extend Tata’s certification program to the partner’s technical personnel, so they can familiarize themselves with Tata’s products and sell them more effectively,” Briones emphasized. 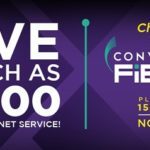 Initially, Smyth shared that the “Direct Cloud Connect,” “A-Z VoIP service,” and international ethernet service are among the Tata services that Converge ICT will offer. Everyone should look forward to the complete line of new products and services that Converge ICT and Tata have in store for us. This partnership is set to upgrade and reinvigorate the Enterprise sector and surely benefit the clientele they serve and the community as a whole.